my family are BIG star wars fans. we used to have movie marathons on saturdays, spread out blankets all over the floor and pop a zillion things of popcorn and watch ’em all. the originals of course. my brother had about 2,000 star wars action figures, and josh used to watch the movies all day. every. day. until my mom limited that. i think all of us have been a star wars character for halloween at some point. anyways, just wanted to establish that we are, in fact, geeks. got that? k.
here’s some more proof that i am a geek. 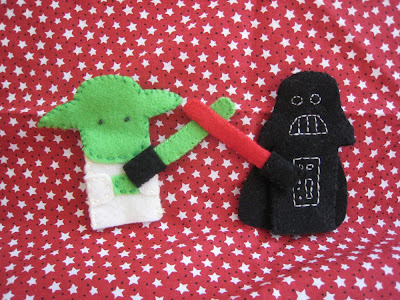 i posed yoda and vader fighting. with their awesome lightsabers. 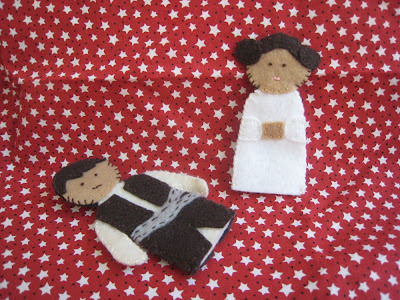 here’s han trying to put the moves on leia. smooch! hmmm, han, a little too much too soon? yeah, leia took care of him, no worries. here are the baddies. darth looks a little surprised for some reason. 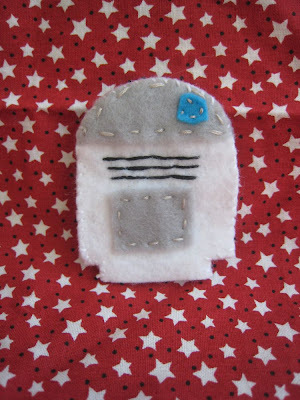 r2d2…he was simple and easy! 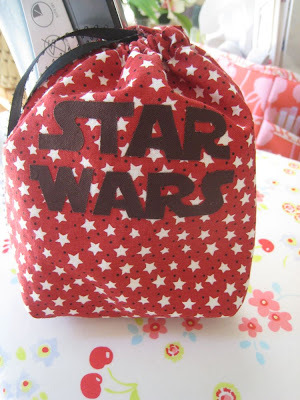 of course, i had to make a bag to stash them in, with a label in star wars font. otherwise, how would he know what’s inside? his card, course it had to match! i hope josh likes them, and i hope you enjoyed me acting like a geek. you are hillarious! 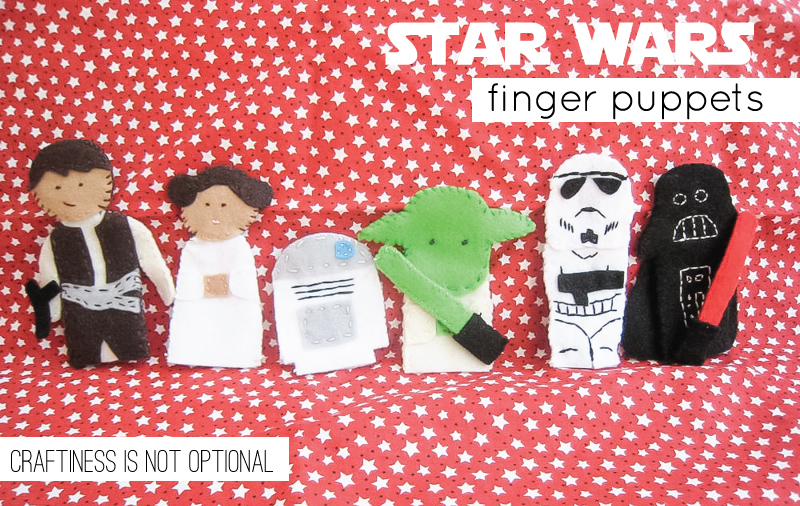 I think you did a FABULOUS job on those little puppets…as usual. Suuuuper cute! Very creative!! 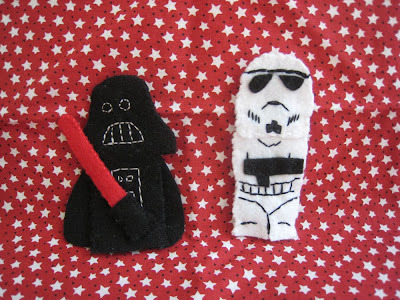 You may have to mass produce these for all the Star Wars fan’s in blogger-land!! Josh is gonna love them! YOu did a great job making them. And I love the poses. You had me laughing early in the morning, which is hard to do. These are so cool…my 5 year old son would love them. I’m also loving your music…enjoyed listening to it. 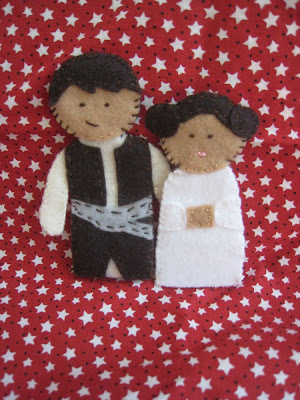 Now you need to make another set and send them to me, so that my Star Wars fans can join in the fun! Awesome job! Oh my gosh, those are adorable! The original Star Wars were so great. I used to watch them when I was home sick. I just found your blog and I cannot wait to look around. These are super cute and you make me laugh! I just found your blog via Just a Girl and I Love it! We used to have “trilogy saturdays” at our house, so we were major geeks too. 🙂 Also, this is even more nerdy, but your daughter has two of the exact same outfits that my daughter has. Were we possibly separated at birth? (oh no, I almost gave in and made a “luke, we share our father!” joke…good thing I didn’t). Those are adorable! My son loves Star Wars as well. How funny! 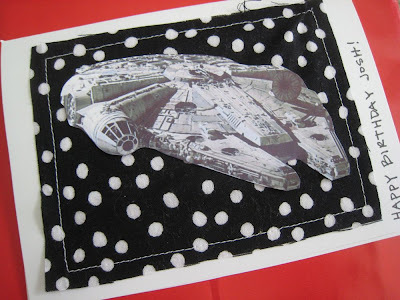 I had a crush on Han too…so rugged and handsome!